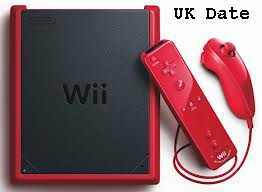 Game giants Nintendo have announced a release date for their Wii Mini to launch in the UK and Europe. The new mini console has already been released in Canada a couple of months back. Now it will get it’s big day on European shores where it is estimated to do well with regards to sales. The official date set is March 22nd, so potential buyers can jot that date down in their diary for good measure. A price has not been set by Nintendo as of yet, but the price of the Wii Mini in Canada was $99 upon release. So you should expect the console to sell for around about £65 in the UK. A Nintendo Selects software collection has also been announced to celebrate the release in Europe.This will include Mario Party 8, Super Papa Mario, Mario Power Tennis and Wii Sports Resort.